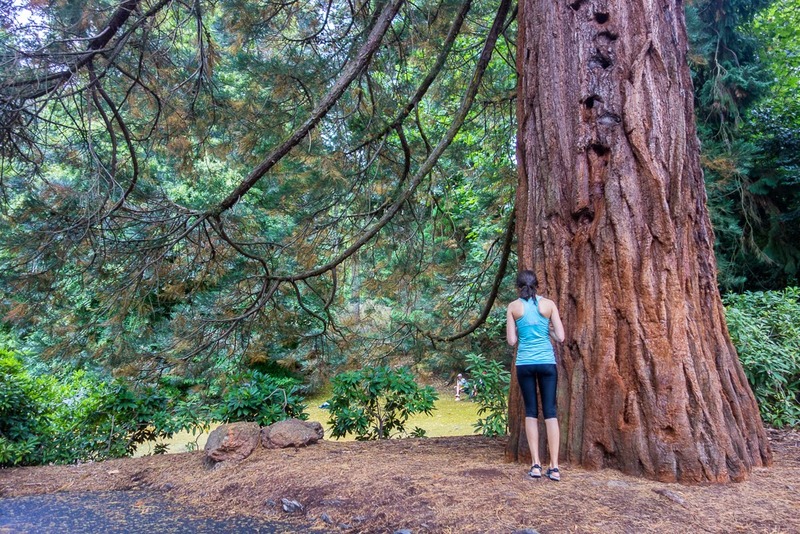 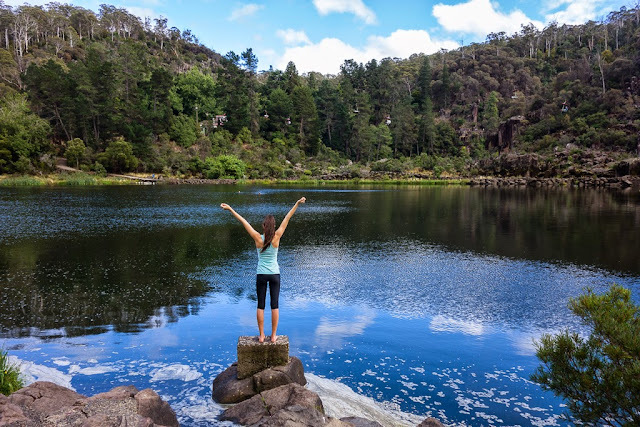 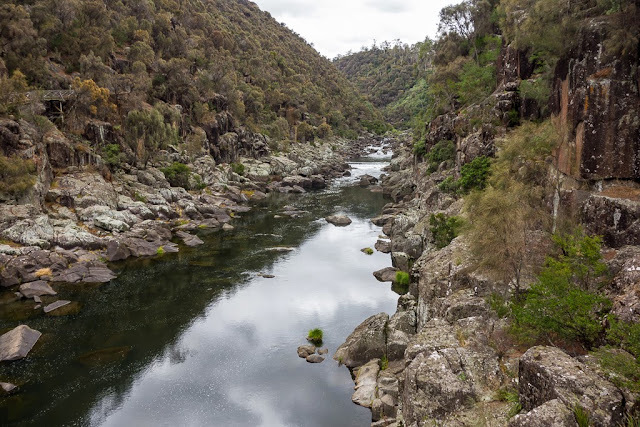 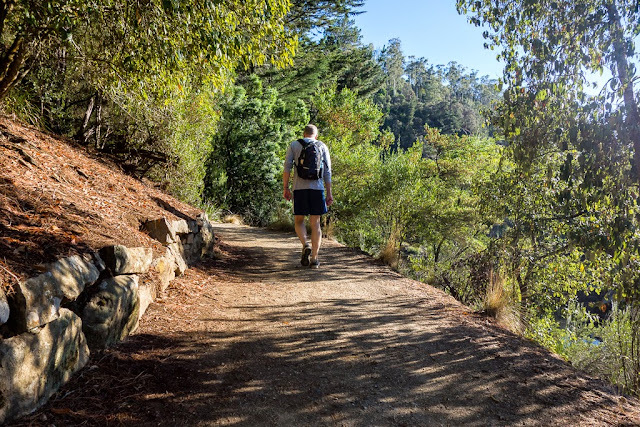 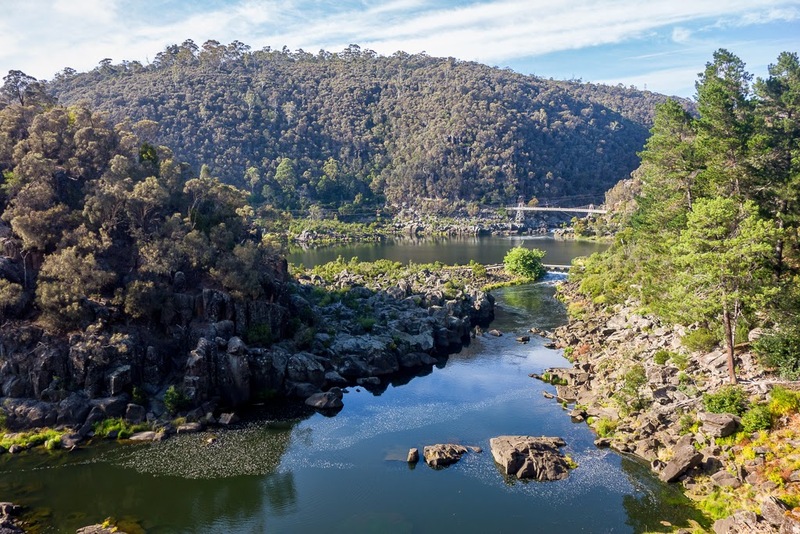 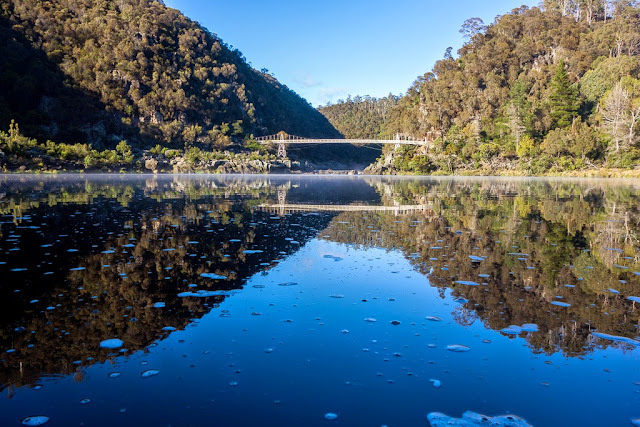 There is another walking track that follows the Tamar River to the Cataract Gorge. 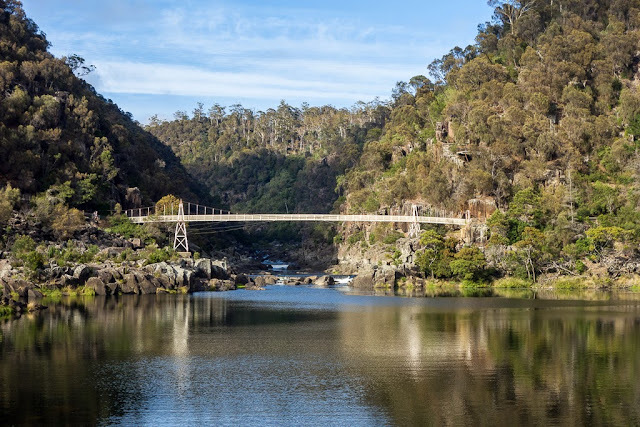 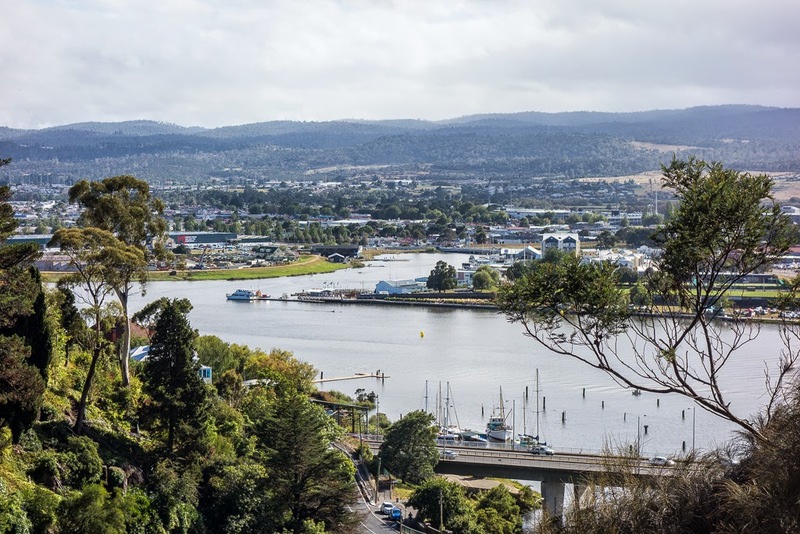 The boardwalk begins right outside our front door and winds its way along the mariner and beside the Tamar to the heart of Launceston – the Cataract Gorge. The Gorge is spectacular, no doubt about that. 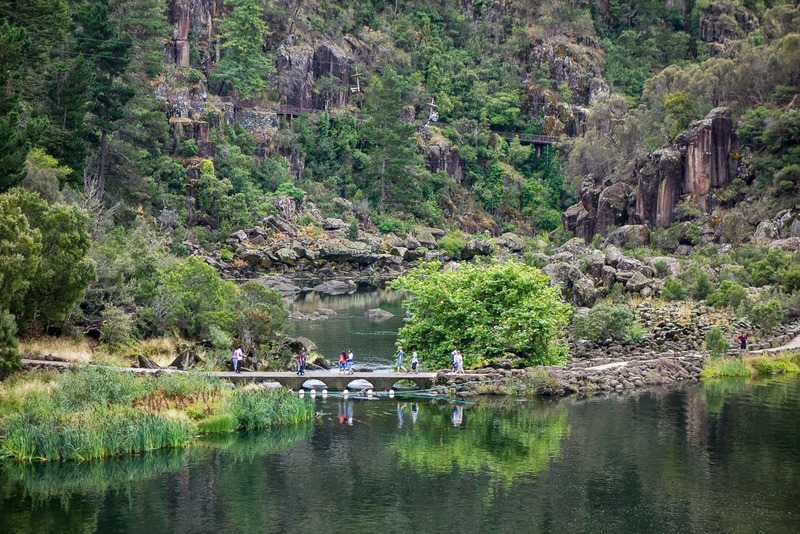 The boardwalk takes us to one of the many access points to the Gorge. 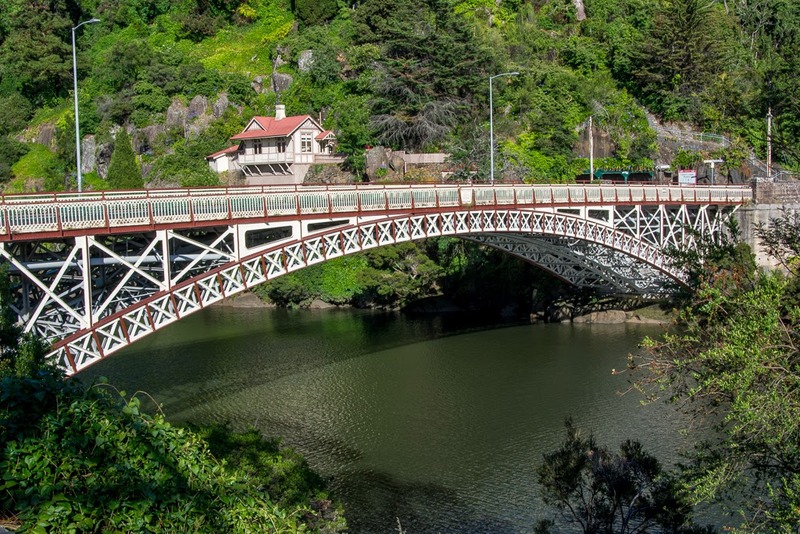 From a bridge we follow a dirt track up, and up, and up. We go this way first to get the hard part over and done with! The vertical track gives some great views looking back over the Tamar. 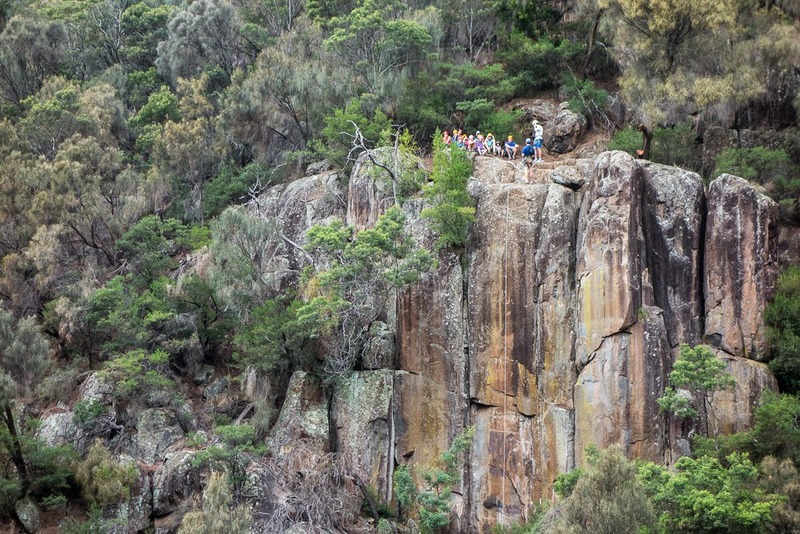 Steep steps finally give way to a descending path that takes you to the tourist centre of the Gorge, The Basin. There’s a coffee shop, an outdoor pool (where Colin swims mid walk), the actual basin where tough Tasmanians swim (and Johanna had a very quick dip! 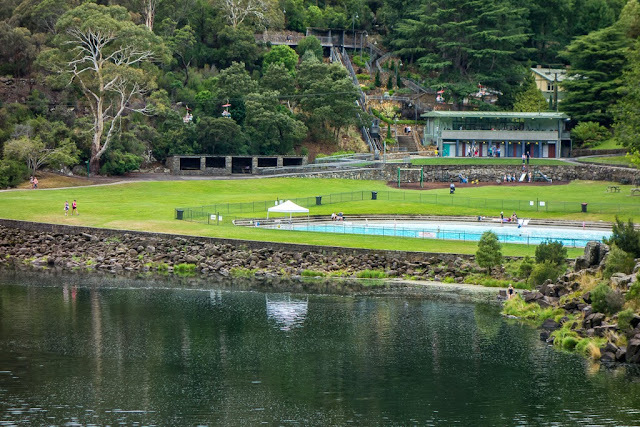 ), grassed picnic area, the suspension bridge, chair lift and a whole lot more. 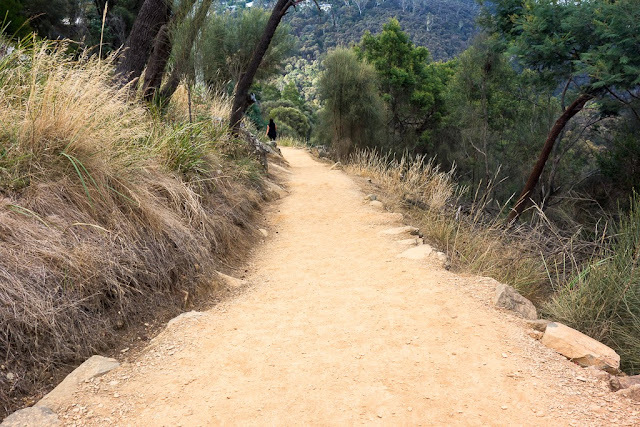 dirt tracks and green plants and beautiful trees grounded in the earth.